Well, Loom Knitting. I have no coordination with needles. 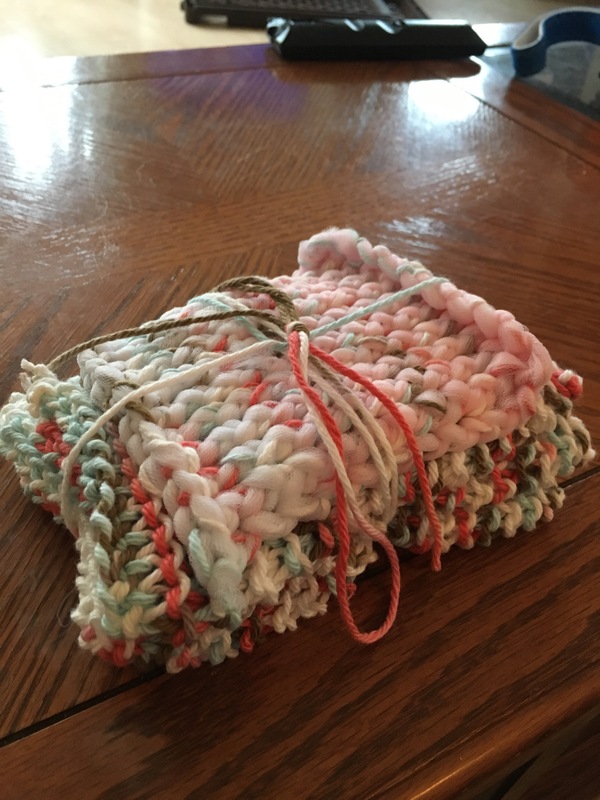 And making dish scrubbies that we’ve been using in our house (no picture, but yarn and tulle and it is way more gentle on dishes than a bristle pad). Since going on Maternity Leave (while still waiting for baby) I have been knitting a TON! It’s the easiest thing to do when you don’t have the energy to walk around and do housework and needing to sit at a certain angle so your ribs don’t hurt so bad! 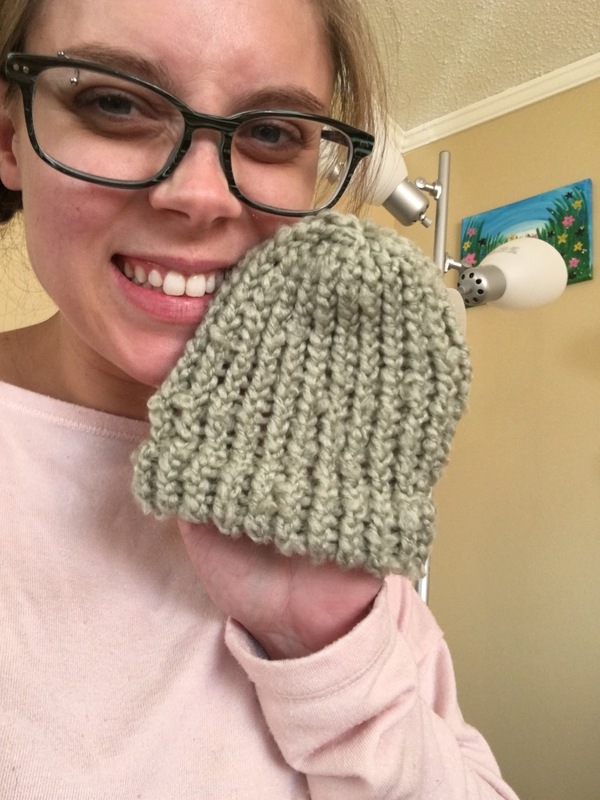 And I knit my first hat! It’s newborn sized! 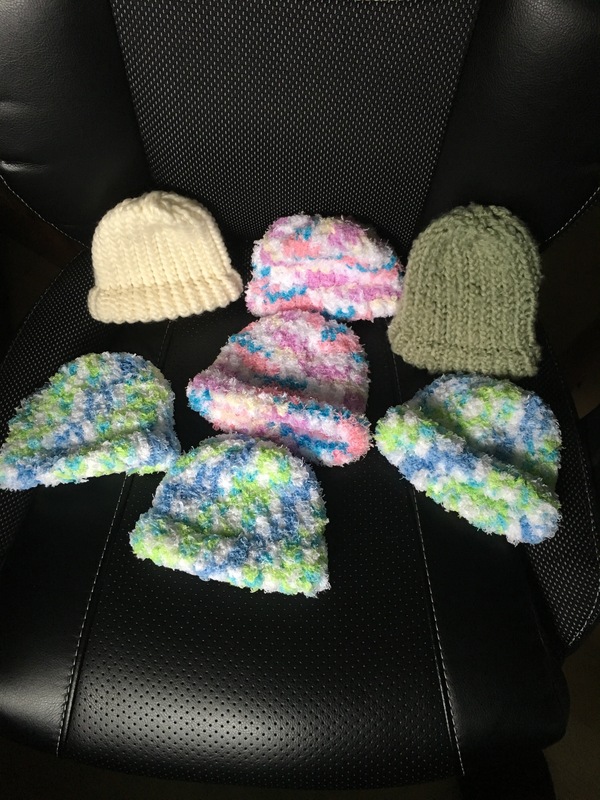 I also knit a bunch of newborn sized hats, some I’ll keep for my newborn, others I plan to sell (hoping to open my online shop in October!). I’m contemplating adding Pom-poms to the hats, but I haven’t decided yet! As well as a bunch of dish scrubbies! 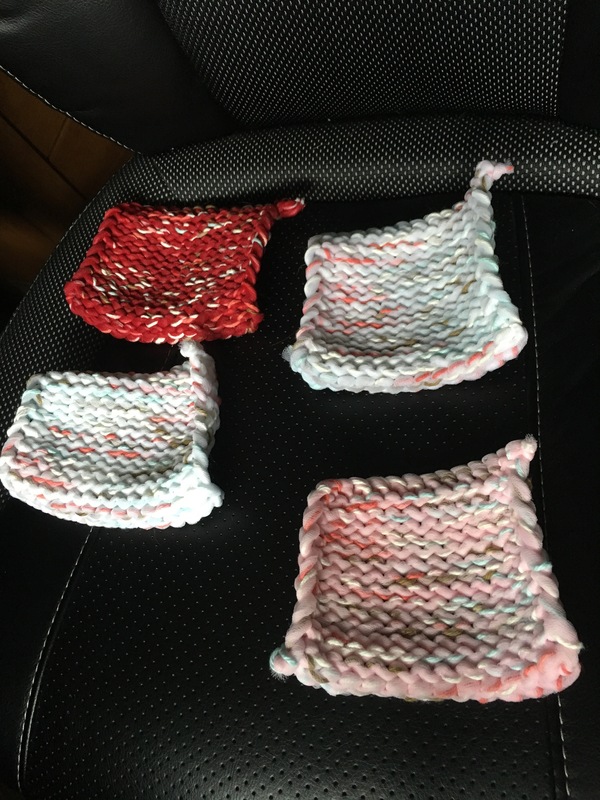 (I’ll be adding dish cloths to this stash once I get my hands on more cotton yarn! I need to bust through the huge yarn stash I have before buying anymore! I also plan on knitting some of my Christmas gifts this year, as well as work on larger sizes for my online shop! Stay tuned for more information once baby and I are settled at home! Check out my Instagram page for more projects! 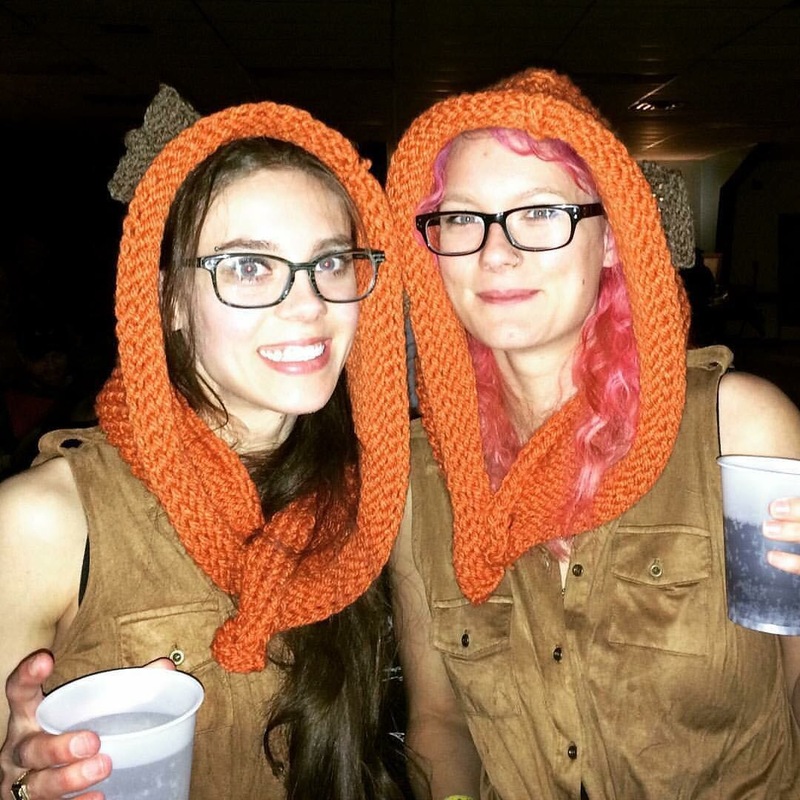 Do you like knitting? 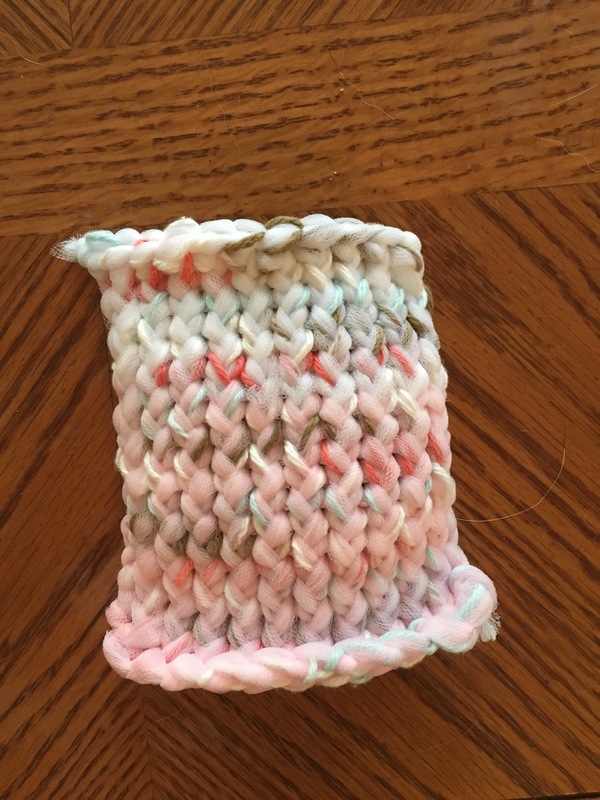 (Or any yarn craft) – show me your projects in the comments!! 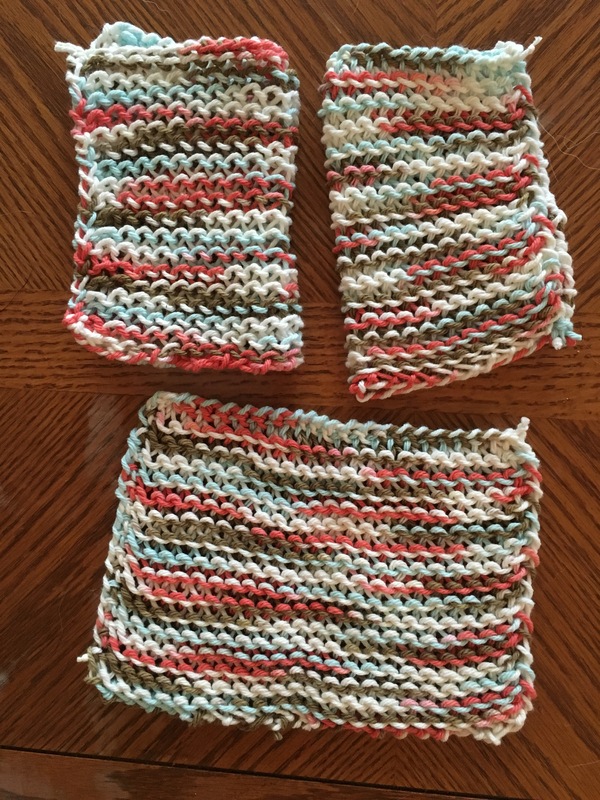 Previous Post Pregnant Diaries – SAMPLES! Next Post Pregnant Diaries – It’s my DUE WEEK!